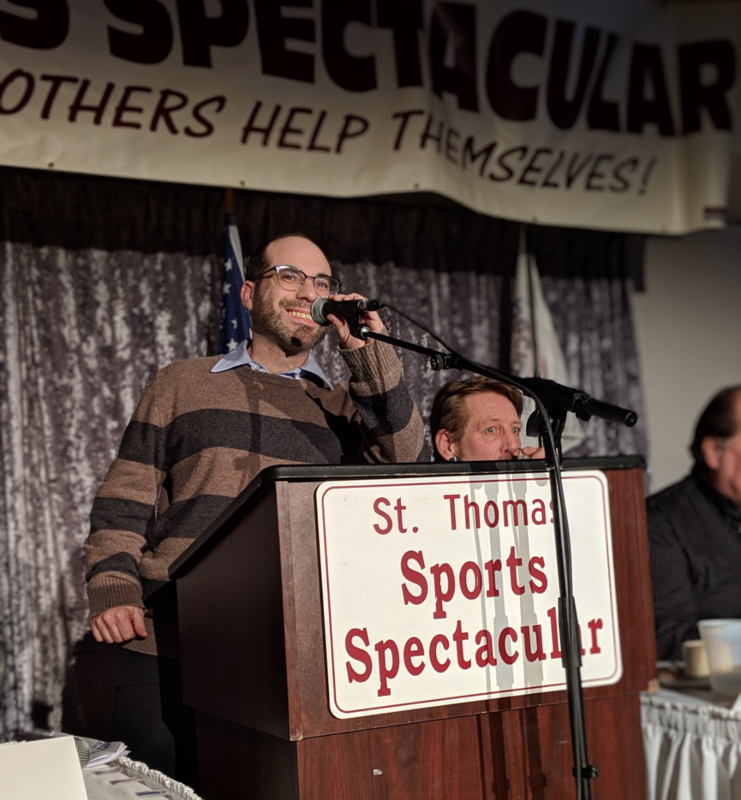 Research Consultants International FDI’s President and Founder, Bruce Takefman was in St Thomas yesterday, Thursday January 24th, to attend the 41st annual St Thomas Sports Spectacular. The event brought athletes and media personalities from every corner of the sports world together with their fans to support Special Olympics Ontario and Community Living Elgin. The evening included a celebrity meet and greet, a keynote address, silent and live auctions, entertainment, and a dinner. While the star-studded head table (including the likes of Tennis Star Daniel Nestor, George Bell of the Blue Jays, and four-time Olympic gold-medal winning Hockey Player Jayna Hefford among others) has always been a major draw, attendees are also united by a desire to give back to the local community and bring the love of sports to all. This was Bruce’s 5th consecutive year attending the event as a sponsor alongside others such as Railway City Tourism, St Thomas EDC, ESSO, Tim Hortons, RBC, and TD Bank. He considers it a wonderful way to kick off Research Consultant International FDI’s commitment to center community engagement and charitable actions in 2019. While tickets for the 2019 event sold out on the St Thomas Sports Spectacular Website earlier this week, those who were unable to attend this year are invited to show their support by donating to the organisation’s PayPal, and keep apprised of future events through the official Facebook page. To date, over $600,000 has been raised.